There is now clear evidence of wrongdoing (to be kind) by Hitlery, James Comey, and Susan Rice, et al. 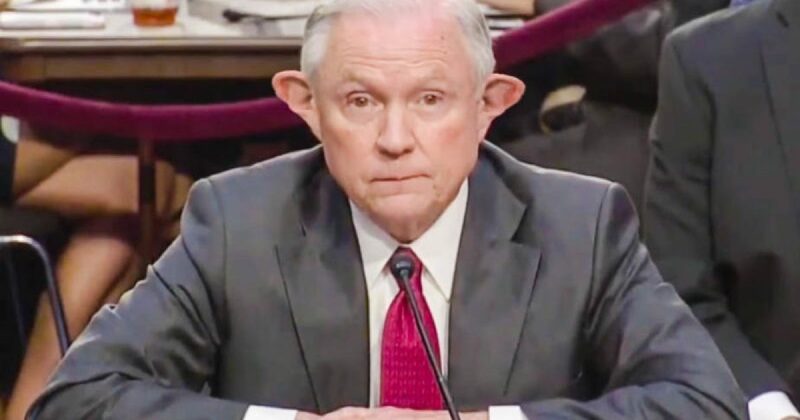 Rather than investigate the swamp rats, Sessions is ignoring them and recusing himself from defending his boss in the case of the obvious Russian fairy tale. And he says he was humiliated when President Trump suggested that he was wrong to recuse himself from the Mueller hunting expedition, aimed at taking down the President of the United States. GMAFB! Sessions WAS wrong, way wrong! He hung his boss out to dry and is watching the show as the wolves gather around him. To make matters worse, he never informed President Trump of his decision to recuse himself. If he had, it is likely that President Trump would issued to him his two most famous words…. “YOU’RE FIRED!” But, instead, Sessions made his announcement to the surprise of President Trump and without his consultation. Beyond unforgivable and telling, in my opinion. As for Hitlery, Comey, and Rice, the evidence is more than compelling. Why Sessions didn’t investigate and indict these three months ago speaks to his card-carrying membership in the establishment swamp. While President Trump is busy trying to drain the swamp, his Attorney General is busy re-inserting the drain plug and coming to the aid and comfort of its slimy creatures, of which he is one. The best solution in my opinion…. fire Jeff Sessions and appoint Trey Gowdy Attorney General of the United States. Then watch the sparks fly and the swamp rats run for their lives. Jeff Sessions should never have accepted the position of Attorney General of the United States, declares Greg Jarrett of Fox News. His leadership has proven unproductive and ineffectual.